Recent fatal crashes involving tow truck operators and highway workers have prompted Gov. 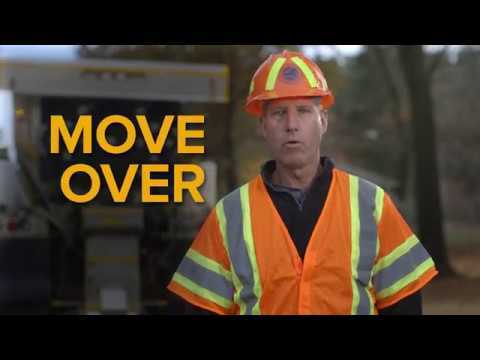 Andrew M. Cuomo to enact a campaign to raise awareness of the state "Move Over" law, which requires drivers to move over when approaching law enforcement vehicles, fire trucks, ambulances, tow trucks, construction and maintenance vehicles stopped along the roadway. As part of the campaign, New York State Police will conduct a "Move Over" enforcement detail on the Thruway from Monday through Friday, Nov. 18, targeting motorists who fail to move over for emergency vehicles, tow trucks, and maintenance vehicles. "The work performed by these first responders and workers is critical to the safety of our roadways and the motorists who use them. Every precaution must be taken to reduce the danger already inherent in these hazardous jobs and avoid preventable tragedies," Cuomo said. "With this aggressive statewide campaign, we send a clear message that there is zero tolerance for reckless driving that places these essential workers in harm's way." In addition, throughout the week, Thruway staff, State Troopers, and tow truck operators will promote the campaign at service areas by handing out educational flyers and engaging in conversations about the importance of the "Move Over" law with motorists. "The crews working on the Thruway shoulder that you pass going 65 miles per hour are mothers and fathers; sons and daughters; and husbands and wives who want to go home to their loved ones at the end of the day. Let them do their job. Slow down, and move over if it’s safe for you to do so," said Thruway Authority Acting Executive Director Bill Finch. The law was expanded in July to include volunteer firefighter and ambulance workers and gives law enforcement more authority to penalize violators who jeopardize the safety of those working along the highway. "Highways are one of the most dangerous work environments encountered by law enforcement and others who respond to emergencies and maintain the roadways," said State Police Superintendent George P. Beach II. "State Troopers will vigorously enforce the Move Over Law to protect those who must work in hazardous conditions along our highways and interstates. We urge all motorists to put safety first – slow down and move over when you see emergency vehicles and maintenance crews along the roads."